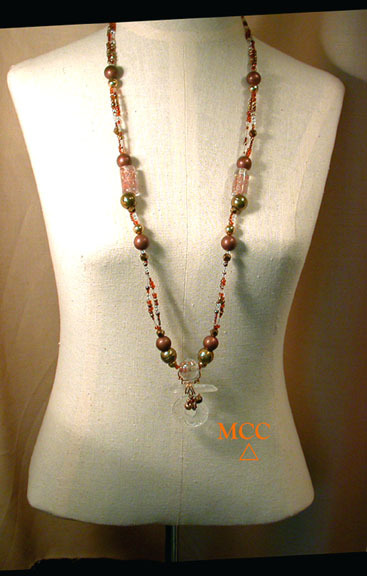 Long - 37" with 2" pendant - elegant and sporty, this classic hand beaded necklace takes center stage! 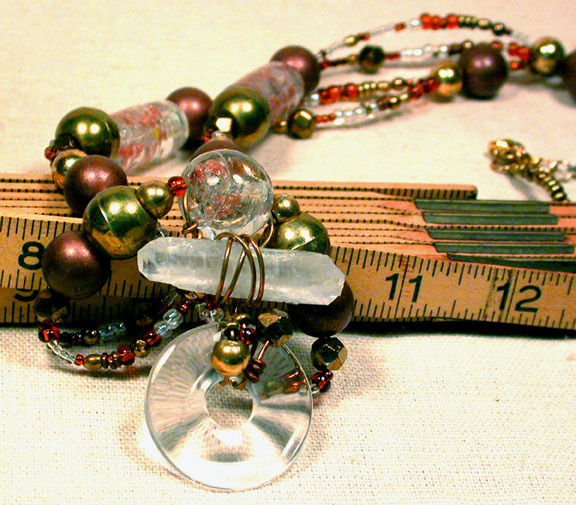 We've combined 14k goldfill findings, brass, glass and bronze beads with gold handmade glass geometric beads to complement art glass copper-infused glass, a rock crystal wheel and a rare dogtooth shaped natural Arkansas doubly-terminated rock crystal...it only took an entire day to make. Great with your khakis, olives, black and denim clothes, it's chic and a wearable pleasure the whole year around.